HomePhuketTemples. Food & Viewpoints: Experience a Complete One Day Trip in Phuket! Let's see the major spots in the city with a mix of tradition and modernity! Visit temples, which are an important part of Thai culture with stunning architecture, and enjoy the impressive views of this beautiful island and chill out at a beach! 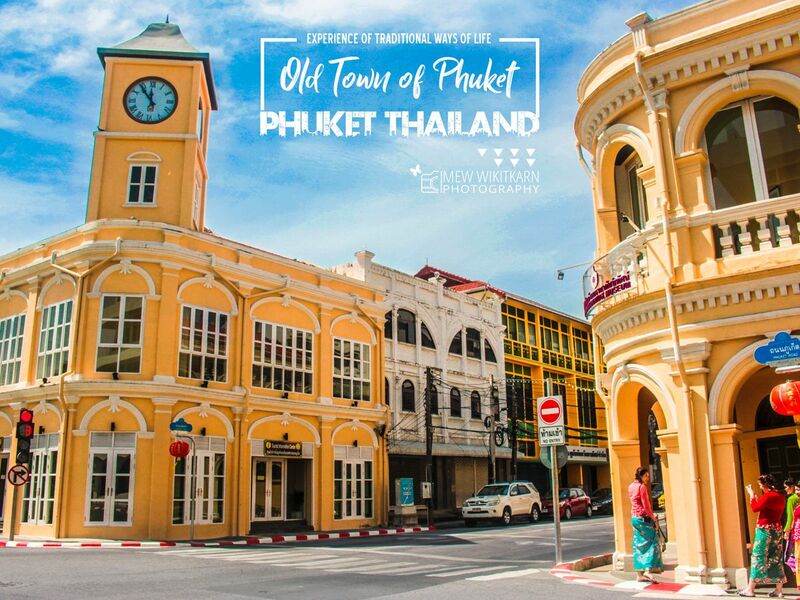 Let's explore the charming old town of Phuket! Let's visit the Phuket Thai Hua Museum, which keeps the historical records of the city. Let's take a walk and Look around Krabi Rd., Thalang Rd., Soi Romanee., and Phang Nga Rd.! Time to enjoy some lunch with local food! Next, we'll visit Wat Chalong Temple, the most beautiful and renowned temple of Phuket! The most impressive architecture is the pagoda and on top, the most revered sacred relic of Buddha! Visit Ming Mongkol Buddha or Big Buddha Phuket, which is on the top of Mount Nagakerd. Up there, you'll see the best 360 degree view of the southern part of Phuket! Let's drive along to Karon Viewpoint to admire the panorama view of Kata Noi, Kata and Karon beaches! This is a perfect opportunity for you to take some stunning pictures back home! Next, let's stop at the Windmill Viewpoint and enjoy another mesmerizing view! It's time to relax and take a look around Ya Nui Beach! Visit Phromthep Cape, which is a cliff where you can view the breathtaking panorama of the captivating surroundings and the striking sunset! The trip ends now! It's time to return you back to your hotel or your preferred destination! Explore the best gems of Phuket island and discover the rich variety of experiences. Wow! Mew took us everywhere! She was very professional and knew the area. Mew was so nice and accommodating! We got to see all the big sites. Highly recommend as you get to do and see so much in a day!! The tour was great, especially Phuket old town including the museums and a stop at an excellent breakfast spot. We learned a lot about the town and the Baba people, and we had a lot of fun. Mew was super friendly and added a lot to the experience. We had to cut the beach part short because of cold weather, and with our extra time she took us to get Thai SIM cards which was super nice. She and her sister (who drove) even helped us install them and get our phones up and running. Thanks Mew!